L.Table is a restaurant inside a bakery called Lavender. Lavender is pretty popular bakery shop in Malaysia. Since I did not take any photo of the surroundings due to the lighting being a shithole, I'm just gonna skip straight to the meal. This was my order, it was quite cheap compared to the Salmon spaghetti. 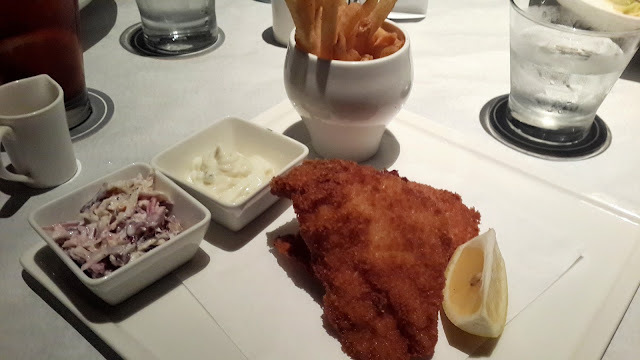 Also, I was kinda having a Fish & Chips craving that day. God knows why, perhaps Man-period. Anyway, the fish's batter was extremely crispy. Even when I cut the fish, flakes of batter would start popping out. The fish tasted quite fresh, it was flakey as well. The only issue was the fish was too oily. I'm not quite sure how do people like their fish and chips, but I certainly do not wish mine to be drenched with oil. The coleslaw was pretty good, tartar sauce was normal, fries was crispy. Overall, quite an okay meal. Salmon wasn't that fresh nor flakey. Kinda felt it being too mushy. The cream sauce was a little tasteless. However, the spaghetti was well cooked. Overall, the spaghetti felt really light and healthy. I would expect something like that to be richer in flavour. 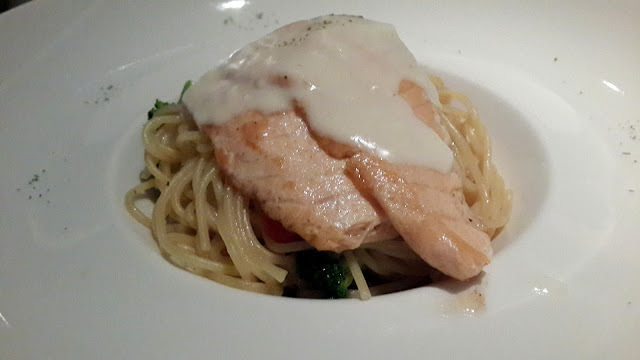 Not to mention the price, some may say that RM25 is because of the salmon but personally, I do not find it worthwhile. Meatballs, it was horribly dry and tasteless. The texture was pretty dull, it was flat and soft. It doesn't give that chewyness that I seek in a meatball. Not to mention it was tasteless. The spaghetti was cooked alright, but the sauce wasn't my cup of tea. Marinara sauce is supposed to be rich with tomatoes and herbs but I'm absolutely getting none out of this one. Horrible. Ikea RM5 vegetarian pasta does it better. Another plate of bland and tasteless pasta. 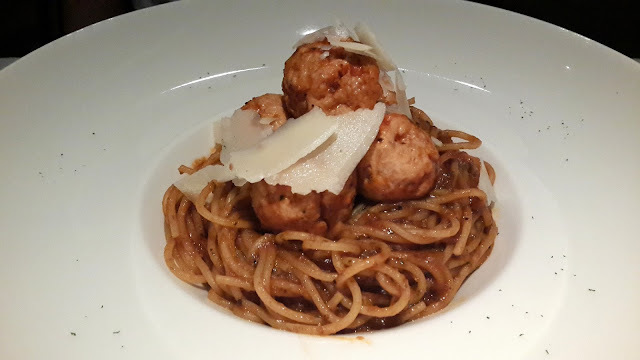 Although the spaghetti was cooked right, the flavours were dull and plain. Turkey bacon was just pure saltiness. There wasn't any "turkey-ness" left. I couldn't tell just what kind of bacon it is. The chicken was pretty normal, nothing very special. Additional leek was a good idea, but it just doesn't brings up the taste. Carbonara wasn't very rich; for me, its a good thing. 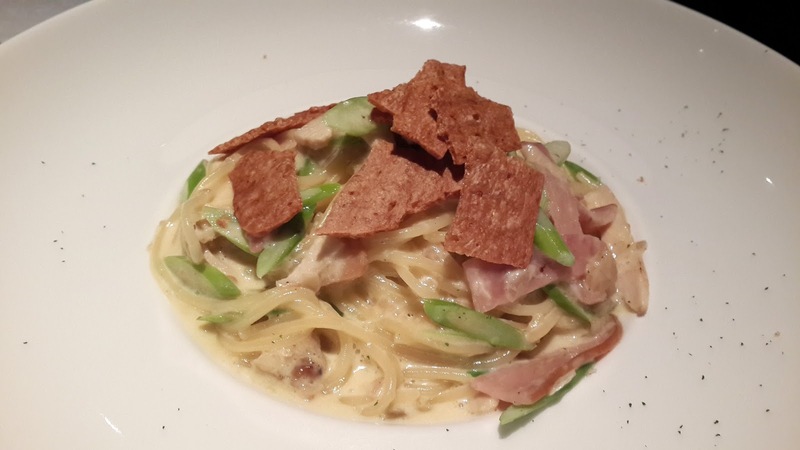 Carbonara should be rich, but not too rich till a point where 1 bite is all you need. Overall, don't really like it.